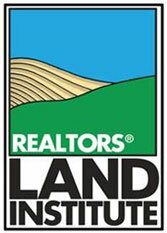 Iowa Land Sales & Farm Management provides the following real estate services for clients across the nation. A core advantage of choosing Iowa Land Sales & Farm Management as your real estate broker is our ability to utilize the most appropriate sales & acquisition methods based upon your goals. For farmland buyers, we offer acquisition services aimed at helping clients find the type of farmland which meets their goals. You can count on our extensive database and networking efforts, which allow us to source off-market deals that work for all parties involved. Investor identification and leaseback opportunities can be pursued when needed. For farmland sellers, we offer traditional listings, public auctions, sealed-bid auctions, and online auctions. Online auctions were introduced to give Internet-oriented buyers an opportunity to bid on land 24 hours a day. These options allow our clients the ability to customize the sales format to their particular land transaction. Our farm managers will treat your farm just like it was our own. We take pride in our Iowa roots. Our rural heritage has instilled in us many of the same principles and values that our clients respect and demand in the representation of their land.